Lady Jade is another mustang whom we adopted formally from the BLM to promote adoptions and show people the process of taking in a wild horse. She was 9 months old and amazingly was friendly and handleable from the beginning. She is a south steens filly and her mother was turned back out on the range after having her baby in holding. We hope that Lady Jade will show the beauty of these wild horses. 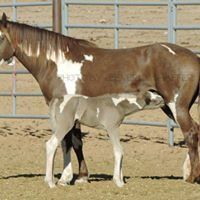 It is our dream that one day every show barn, polo pony barn, hunter jumper barn, arabian barn - that people will see the amazing knowledge to be acquired from adopting a wild mustang and gentling one to learn more about horses in every way. The bond created is so beautiful. If you have the ability to adopt one or rescue one you will never ever regret doing so.